Context and framing mean a whole lot towards getting a holistic, balanced understanding of anything of importance. Today’s readings, chosen to highlight the truth about the Most Blessed Trinity, are no exception. God’s self-revelation is couched in the powerful and incontrovertible language that speaks about, and shows, a “God-in-action,” a God who is Father, Son, and Holy Spirit. Scripture does not offer a theological treatise on the Trinity. Presenting the Trinitarian God as “matter-of-fact,” Scripture merely shows a record of this same Trinitarian God in loving and saving action on behalf of His beloved people. Divine “action” points to what theologians down through the centuries call the “mystery” of divine “passion,” the gradually unfolding mystery of God’s love in saving action through history. The Liturgy is a celebration in prayer and song, in concrete and palpable signs, of what Scriptural revelation of the so-called “Trinitarian mystery” shows us. God’s “words and deeds” are matched by the believing community’s own “words and deeds.” What is believed in the mind, what is treasured in the heart, comes out and blooms into bodily action in the liturgy. The body takes full part in what the heart and the mind extol. What is interiorly held is also exteriorly upheld. Lex orandi, lex credendi! The Church’s official prayer is nothing but the living out, and the external manifestation, of what is basically internal – the faith of all Christian believers. But what is interiorly held and exteriorly upheld in faith and action has to spill over into concrete life. Life as we know it. Life here and now. Life forevermore. Before this mystery of a God who refused to abandon us, a God whose relationship with, and love for us are so deep and magnanimous as to spare nothing, no one, not even His own Son, we are confronted with the issue of all our human relationships in our daily experience. God’s nature as Trinity confronts our fractious and fragmented reality as a human community all over the world. God’s intervention and salvific action in the world convicts us in our inaction and inability to become what He is, what He does, how He does. “The grace of our Lord Jesus Christ” … God the Son comes to us as “grace.” He is gifted to a “world walking in darkness” as “light for all nations.” As Gifted, Christ is given magnanimously and freely – if, undeservedly – to all of sinful humanity. No one of us deserves this gift given “gratis,” given freely. “The fellowship of the Holy Spirit” … The Trinitarian God is still in action. Till here. Till now. The Giver did not just offer the Gifted One. He still works in and through the Gifting One, the promised Paraclete, “who would lead us into all the truth.” Sent by the Father and Son, the Holy Spirit continues to gift us with the grace of unity and fellowship, standing by us, with us – even “praying in us and for us in sighs and groans that words cannot express” (Rom 8:26). “The Spirit himself and our spirit bear united witness that we are children of God” (Rom 8:16). The Gifting One continues to lead us towards the fulfillment of that High Priestly prayer of the Gifted One: “that they may be one, even as you and I, Father, are one” (Jn 17:22). This Mass, like all Masses everyday, opened with this powerful Pauline greeting and wish: grace from the Lord, love from God, and fellowship in and through the Holy Spirit. Lex orandi, lex credendi, as we said earlier on. The law of prayer is the same law of belief. But there is something else that is missing in the equation. Lex orandi, lex credendi, lex vivendi! Far too many of us cradle catholics, for far too long, have remained on the level of theoretical belief. Considerably less, but still quite many, are those who simply go through the motions of their belief in mechanical prayer and lifeless liturgical participation. But for an even greater number, faith and prayer are effectively divorced from life. Faith has nothing to do with politics. Faith has nothing to say about how one behaves in the sexual realm, what one does with unwanted innocent lives, what powerful nations want to do with recalcitrant nations who do not shape up and conform with such powerful nations’ idiosyncratic vision of world political and economic order and international relations. For many, the Pope, bishops, and priests ought to limit their sphere of influence only in the sacristy. The law of belief and the law of prayer are both made to stop dead in their tracks, short of what counts as something just important as the first two – the law of moral living, the concrete living out of one’s faith and prayer. 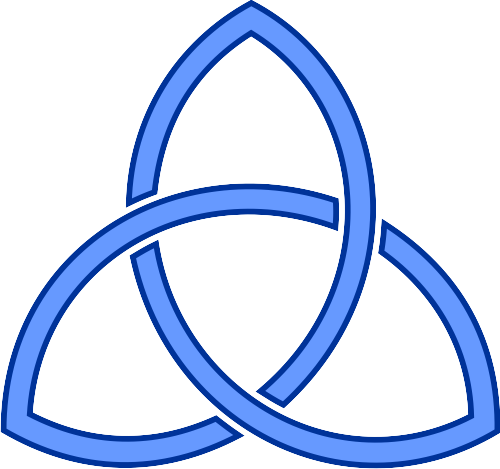 Today’s celebration of the Trinity tells us otherwise. We are face to face with a God-in-action, a Trinitarian God whose obvious passion is to love His own – a love so deep and magnanimous, a love so present and active in the Son, a love so alive and continually indwelling in our midst in and through the Holy Spirit. GLORY BE TO GOD, FATHER, SON AND HOLY SPIRIT AS IT WAS IN THE BEGINNING, IS NOW, AND EVER SHALL BE, WORLD WITHOUT END. AMEN.